"We chose seaPro.. an easy to use,fully featured package". Sir Robin Knox-Johnston, Times Clipper. 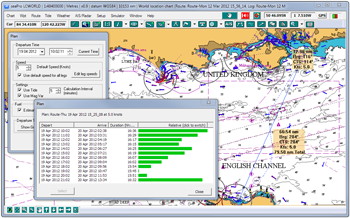 The highly acclaimed seaPro standard is a unique electronic charting application designed to offer seamless selection of both vector (Livechart & S57) and raster (Seafarer, NZ Mariner & BSB) charts. Comprehensive navigation features including integrated tidal data, passage planning, weather overlays and data logging makes seaPro a truly powerful charting and navigation tool. 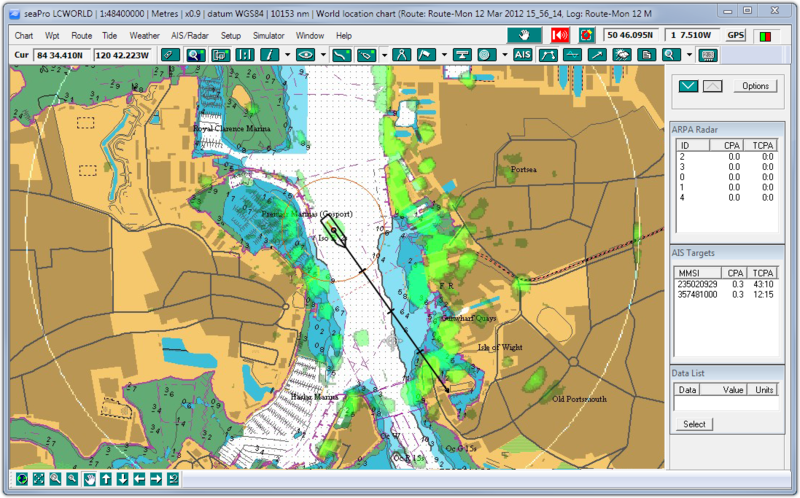 With an abundance of practical and easy to use features designed to make navigation quicker and more precise. 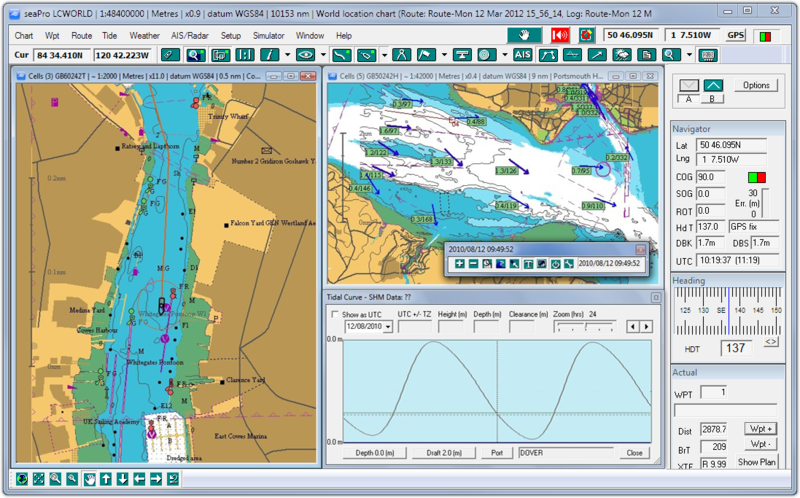 The new seaPro 3000 series builds upon the 2000 series (additional features) offering a new smart and easy to use interface, with added features including support for a PC Radar, dual frequency Navtex, and AIS receivers and transponders - The complete navigation system. 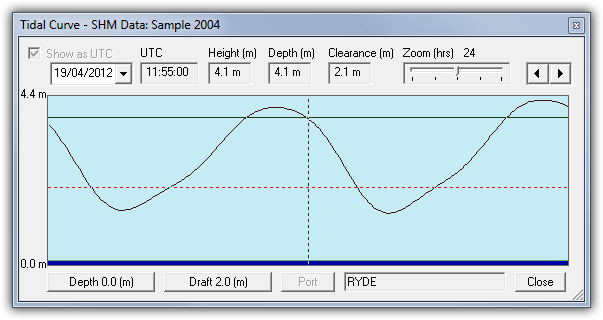 Tidal curves - The tidal curve function enables the display of tidal heights for ports where SHM data is available (including secondary ports). 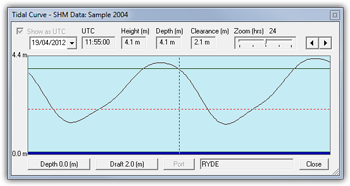 A world-wide tidal curve database is available as an option. 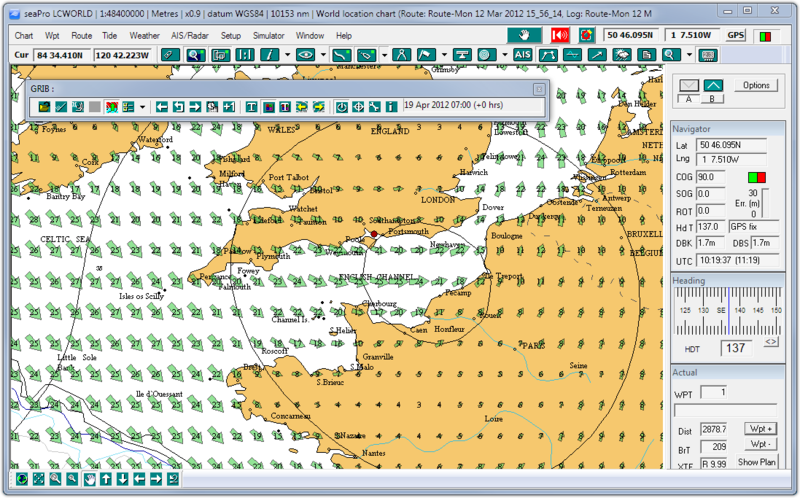 Weather information download GRIB weather files and display the weather patterns over your charts -wind, presure, wave height, temperature etc. ( depends on the source of your weather information). Fuel calculations - For the powerboat and motor yacht owner, this feature gives estimated fuel consumption when planning a route. 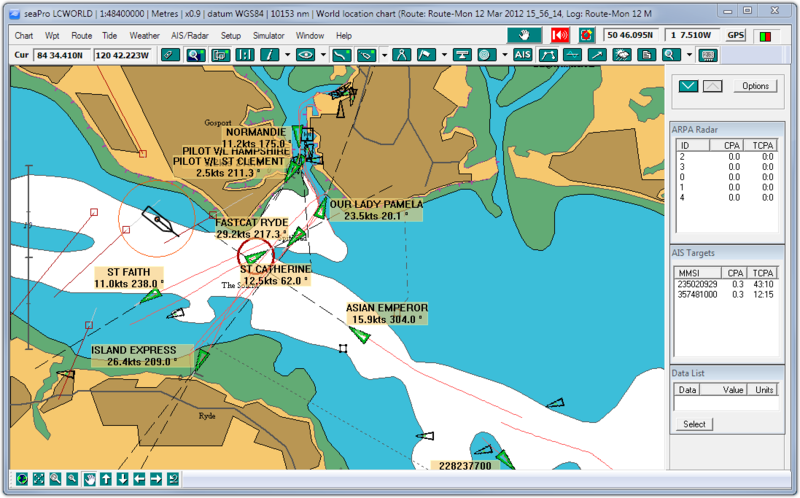 Autopilot control - seaPro will drive an autopilot that has NMEA0183 compatibility. Download the demo to fully appreciate how navigating with seaPro can make your time at sea easier and safer. 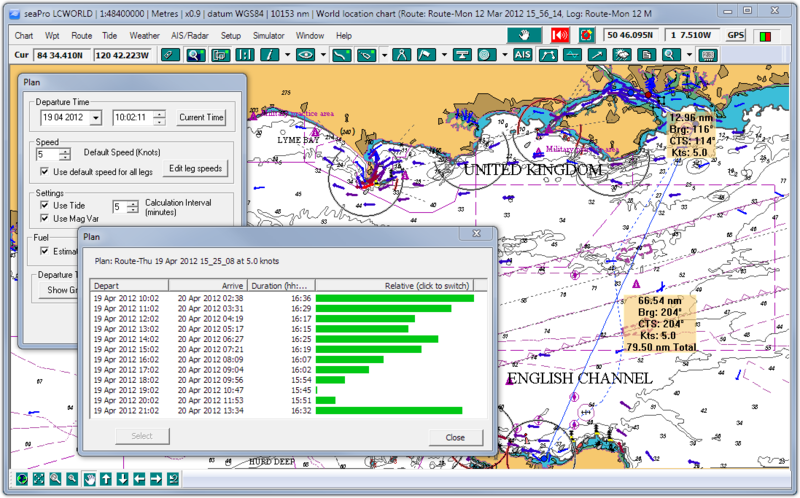 A cheaper and more efficient way to display Navtex information. Simply purchase a low cost Navtex antenna, then weather and safety information can be directly received and displayed in seaPro. Maximise your yachts performance. Suitable for cruisers and racers alike..